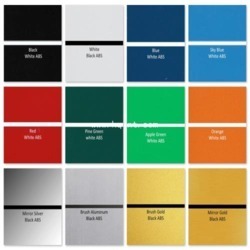 We are an eminent trader, importer, supplier, distributor and wholesaler of a wide array of ABS Double Color Laser Sheets.Basically ABS is a chemical used for the manufacturing of this prodcuct. These products are manufactured using superior quality raw material and latest techniques at vendor's premises. Our customers can avail these products in several specifications in the market. These products are widely demanded for their features like easy installation, high impact resistance, chemical resistance, perfect finish and durability. To meet the diversified demands of our clients, we offer these sheets in various specifications. 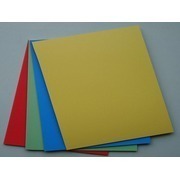 We are an eminent trader, importer, supplier, distributor and wholesaler of a wide array of ABS Double Color Laser Sheets. Basically ABS is a chemical used for the manufacturing of this product. 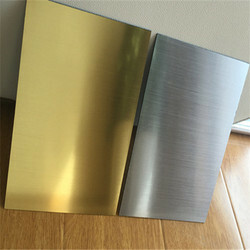 These products are manufactured using superior quality raw material and latest techniques at vendor's premises. Our customers can avail these products in several specifications in the market. To meet the diversified demands of our clients, we offer these sheets in various specifications. These products are in accordance with the global quality standards.